Let’s just get it out there right away. 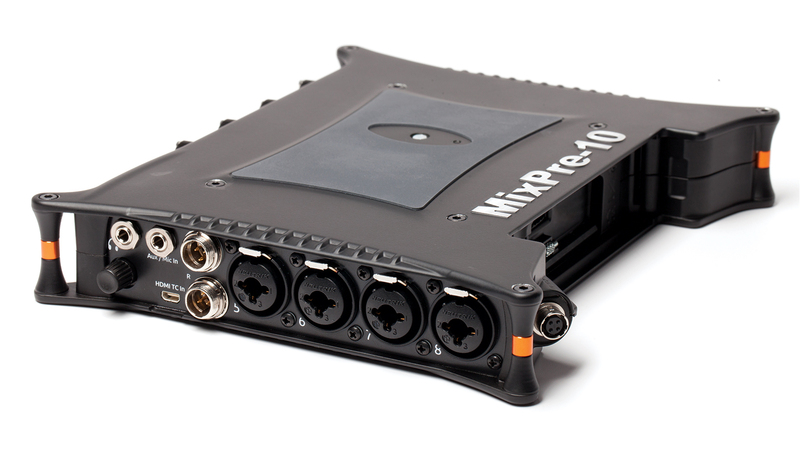 The Sound Devices MixPre-10T is one fantastic product! 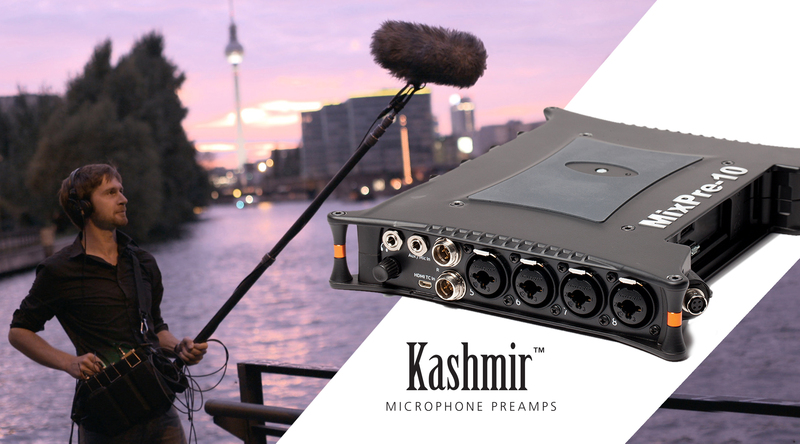 This 10-input/12-track recorder has killer-sounding Kashmir preamps, has a very intuitive menu structure, can take abuse from harsh elements, and its new built-in timecode capabilities are second to none. The MixPre-10T’s ability to run built-in ultra-high accurate timecode is one of its most useful features. 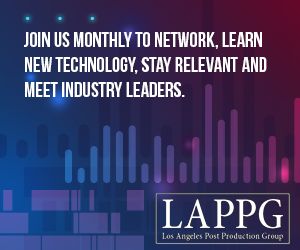 The MixPre-6 and MixPre-3 have the capability to accept timecode from an external source such as an LTC Lockit box via an AUX in or from a camera via HDMI mini. 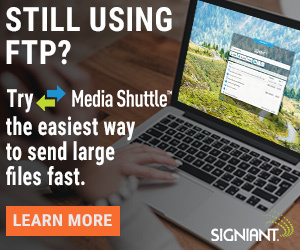 But Sound Devices stepped it up with the MixPre-10T, allowing it to either accept timecode from an outside source or jam external devices with its built-in timecode through two BNC Timecode In and Out ports, which is a big game changer. The 10T also autodetects any incoming frame rate by an external timecode source, which is very handy for ensuring perfect alignment of camera and sound and avoiding future post-production headaches. Investing in new timecode cables can also be quite pricey, so switching the ports to the more commonly used BNC option for the 10T gave me a huge sigh of relief. One of the most useful features of the Sound Devices 6-Series mixers is their ability to hold timecode even after being powered down for more than an hour. This helps save battery power if you don’t have the luxury to run your rig off AC and must run portably. Sound Devices added that same dependability to the 10T, so I put it to the test. I set up the 10T alongside the Sound Devices 633 and 688 outside on a hot day to determine just how well it could hold up against its older brothers in harsh temperature conditions. I jammed both the 10T and the 633 to the timecode from the 688. An hour later, they were perfectly in sync. I turned off the 10T and left the mixers to their own “sound devices.” Another hour later, I powered the 10T back up to see consistent timecode across all three products. Bravo! 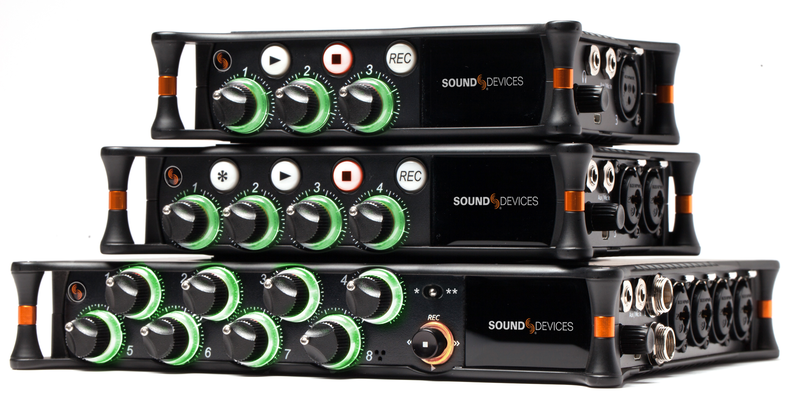 Sound Devices continues to live up to its reputation for dependable timecode, even in a much smaller and more affordable package than its high-grade line. A more complex machine often necessitates an even more complex menu structure. However, Sound Devices did a great job implementing the same user-friendly menu structure from the MixPre-6 and 3 into the 10T, even with the model’s additional advanced features. In stressful shooting situations, I’ve literally pulled my hair out trying to find the exact submenu to change a simple setting. When I explored the 10T, however, I found navigating between settings to be extremely simple. I found it very intuitive to access specific settings for any track such as panning options, gain level, and arming/disarming with a simple click of each channel’s fader, and then continuing to navigate using the touch screen and knob on the right side of the machine. 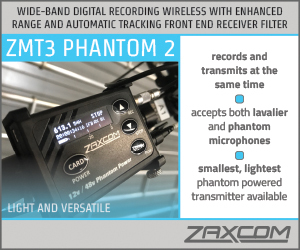 The 10T’s built-in Bluetooth technology allows for a seamless connection with any device that has the Sound Devices patented Wingman App installed, making it easy to monitor my levels and change important metadata such as file and track naming. The ability to use an iPad or other smart device as a transport control greatly helped my eyes from having to consistently monitor levels on the smaller screen of the 10T. I experienced a slight issue with the location and spacing of the navigation knob, which sits right next to the headphone jack on the right side of the 10T. This can make it difficult to adjust the knob when headphones are plugged in, especially if you’re in a colder climate and need to wear gloves. A quick solution is to purchase an additional Sound Devices XL-14 Headphone RAH/P Extender which gives your fingers a bit more room to control the knob. The 10T can be powered by using a detachable sled of 8 AA batteries on the rear of the machine. Using that many AAs can also be costly, especially if you choose to use lithiums. Even with rechargeables, you find yourself losing battery life with every use, despite having multiple battery sleds to switch out. Also, if you solely use AA battery sleds as your powering option, you don’t have the ability to hot swap if you’re in the middle of a take and are about to lose power. 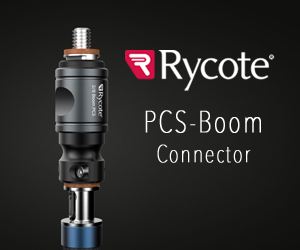 Luckily, Sound Devices stepped up the power option game with the 10T by adding a 4-pin locking Hirose connector (10-18V), a factor found on all Sound Devices high-grade level mixers. This option gives mixers the ability to either power through an AC-powering adapter or with the use of a proper Battery Distribution System while using an NP cup. The connector is located on the rear right corner of the mixer, so plugging in power is not an issue if you’re working on a flat surface such as a cart or desk. However, with the 10T measuring only 1.375 x 8.125 x 6.875 in. (36 x 206 x 175 mm) and weighing only 32.1 oz (0.91 kg), it’s an ideal size for a bag rig, which is where I encountered a snafu. The K-Tek KSTGJ Stingray Junior or the Orca OR-30 Small Audio / Mixer Bag seemed like ideal bag choices for the 10T. However, after inserting the machine into both bags and attempting to plug in my Hirose cup, the bottom or side of the bag placed tension directly onto the connector. The best solution I found was to use a right-angle Hirose cable, which can go to your BDS or into a modded NP cup, but this is an extra expense. Luckily there is one more powering option that can be used with the 10T, the Sound Devices MX-LMount L-Series Li-ion Battery Sled. With 2 fully-charged L Series Li-ion batteries, you could potentially run the 10T for almost a full day, depending on your uses. Once this battery sled snaps onto the back of the 10T, however, the mixer can no longer lay flush against the top portion of the bag. 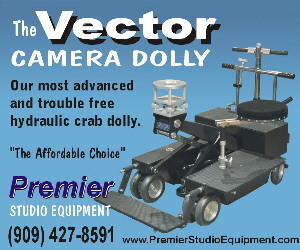 This causes the 10T to sit more in the center of the audio bag, leaving empty space above and below it. As far as overall functionality is concerned, the powering options for the MixPre-10T work just fine, but it can take some extra effort to get your rig set up just right. At first, I was not entirely sure which target audience Sound Devices had in mind for the MixPre-10T. After a substantial amount of testing, I believe its market lies between Sound Devices’ entry-level mixers, the MixPre-3 and MixPre-6, and its high-grade professional line of 6- and 7- Series models, such as the 688 or 788T. With a price point of $1,799.00 USD, the 10T may be a bit pricey for entry-level mixers assembling an initial audio package, but it’s a great option for mixers who are looking to upgrade from an entry-level rig or are seeking a solid backup recorder for their main rig. Overall, the MixPre-10T is an absolutely fantastic-sounding machine and has a multitude of uses across the board for any entertainment industry sound professional. I would like to point that statement about weight is wrong – 91 kg is about adult male weight, probably missing some decimal points. Thank you for catching this, Tomáš. We have corrected the weight to 0.91 kg. Good day. Can this machine record .play and record again as I would like to build my owns stile from keye board. Wat is the recording quality ? How fifficult is it to go form this device to usb that will allow playback on different players? Lasly price please..